Koepfer America sells and supports Monnier + Zahner (MZ) machine tools for medical and dental applications. Monnier + Zahner (MZ) is a Swiss machine tool manufacturer that specializes in world-class CNC machine tools for medical applications. These dedicated machines produce bone screws (compression screws), bone drills, self-drilling and self-tapping screws, joint components (socket / cup, ball / head) for hips and shoulder replacements, and other medical parts. MZ offers dedicated machines for grinding helical bone drills. The M648 rotary transfer grinding machine offers economical production of drills up to 8 mm diameter and 315 mm length. With its easy-to-use dialog programming and automatic loading systems, this machine is ideal for high-production applications. 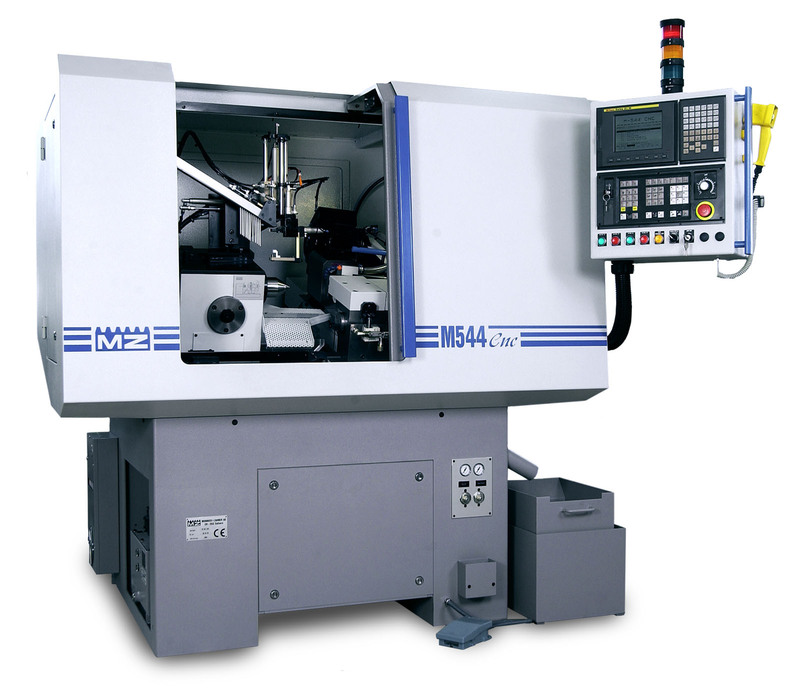 The M544 provides a full-featured CNC solution for manufacturing medical screws. This automatically loaded and unloaded machine features short setup times and a flexible system for a wide range of screw designs. By using milling cutters up to 2.75″ diameter, work pieces up to 3.937″ diameter and 11.811″ length can be cut (maximum cutting length is 7.087″). Special options include equipment to produce negative angles, automatic displacement for double threads, and a dedicated dressing system. Monnier + Zahner (MZ) machines are known worldwide for their unparalleled quality and productivity. 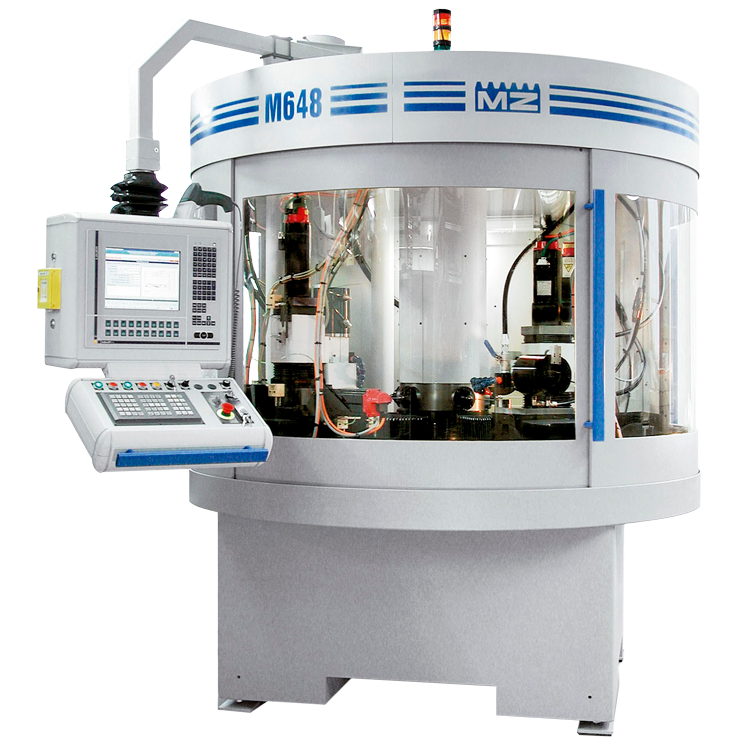 MZ machines use the latest CNC for dental burs (drills) and similar industrial rotary bur grinding applications. These flexible machines can produce a variety of head shapes, including barrel, cone, cylinder, flame, needle, etc. 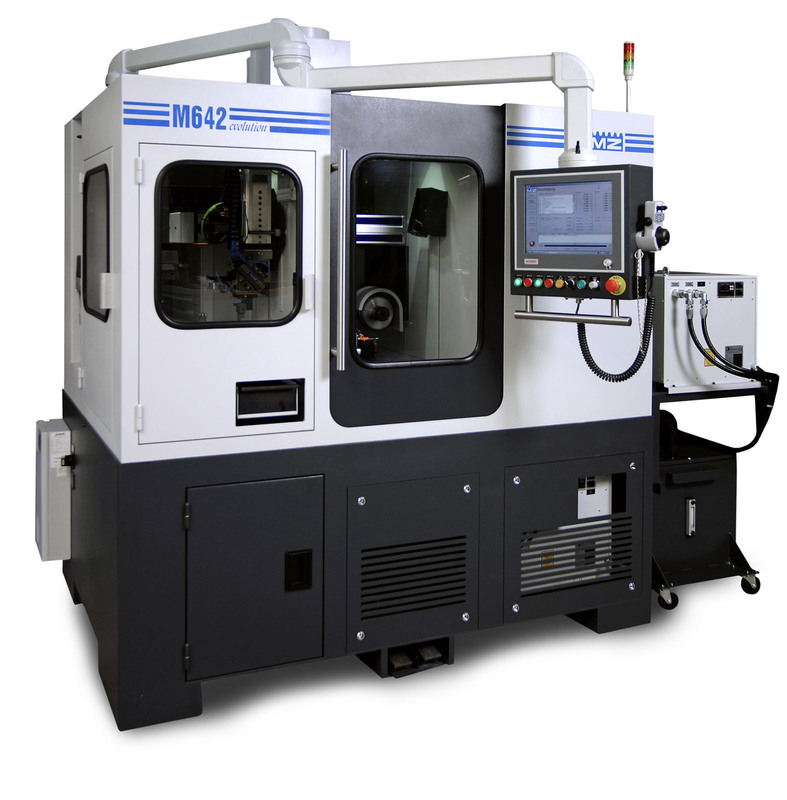 The M642 Evolution provides a robust CNC grinding solution for manufacturing rotary bur such as those for the dental industry. This automatically loaded and unloaded machine can utilize a variety of bar sizes up to 12 mm diameter. Up to 3 grinding wheels can be used to achieve a flexible, productive machine for a variety of work piece types. MZ software allows easy programming for nearly all cutter shapes, and additional operations can be performed such as staggered teeth, end-face teeth, transverse cut, and gashing.